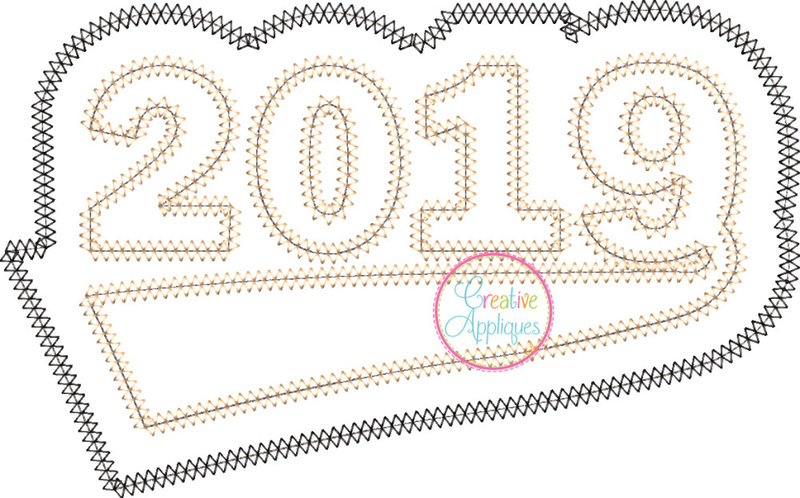 2019 Applique - 7 Sizes! This is a double layer applique finished in a vintage stitching. Includes step by step color chart. Design comes in 6 sizes wide: 7 inch, 8 inch, 9 inch, 10 inch, 11 inch, and 12 inch. This is a double layer applique finished in a vintage stitching. Includes step by step color chart. Design comes in 6 sizes wide: 7 inch, 8 inch, 9 inch, 10 inch, 11 inch, and 12 inch. 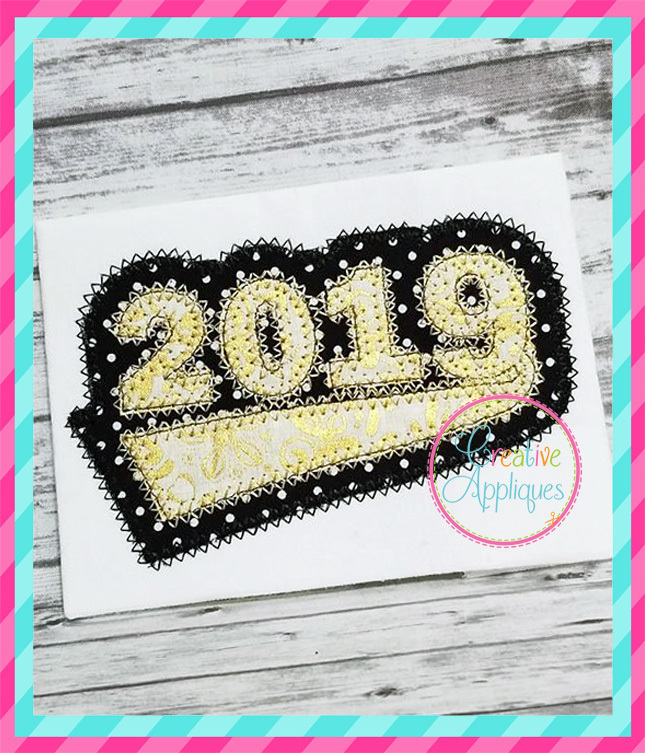 2019 Clock - 5 Sizes! Little Miss New Year's - 5 Sizes! Little Miss Candy Cane Embroidery - 4 Sizes!